TBR — Richmond, VA – Festival of Praise, now recognized as the biggest Gospel tour of the year stopped in Richmond, VA on (Friday, October 23rd) night at the Altria Theater. 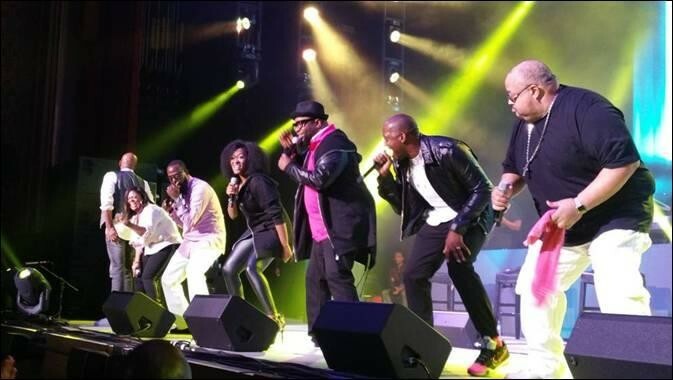 The 50-city concert tour featured some of the biggest names in Gospel music including multiple GRAMMY®, Dove and Stellar Award-winning recording artists Fred Hammond, Donnie McClurkin, Kim Burrell, with Hezekiah Walker. 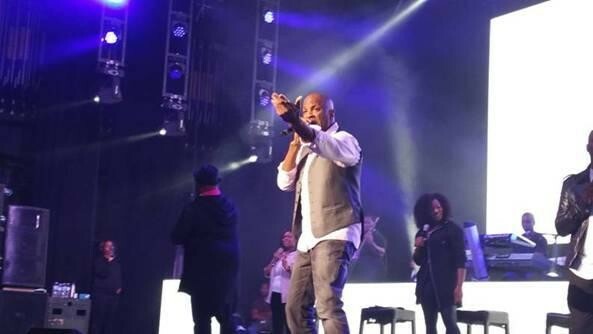 The tour also featured Isaac Carree, Jessica Reedy and Zacardi Cortez. Marcus Wiley of the “Yolanda Adams Morning Show” was this year’s festival host. However this concert is probably unlike most concerts you have ever attended. The entire night was a collaboration of all of the artists being on stage together with ensemble performances and music by each artist highlighting their classic hits and most memorable anthems. Starting right on time with a bit of comedy by Marcus D. Wiley, Fred Hammond walked onto the stage next, following by Hezekiah Walker, Donnie McClurkin, Kim Burrell and the entire line up all together, singing each others songs, with high energy and truly giving the audience their all as they ministered in song with praises to God. It was a night filled with back to back hits broken up into two sets. The first half included high energy and upbeats songs that kept the audience on their feet. Following was a short intermission, and greetings from Praise 104.7FM Sheilah Belle, “The Belle” and Marcus D. Wiley that led right into the second half of the evening. Amazingly, it only got better, with the music, the energy and the tributes throughout the evening, including a special emotional moment for Breast Cancer Survivors, who were all asked to come to the front of the stage for special recognition. Audience members were also invited down front to take selfies with the singers, who were more than accommodating. 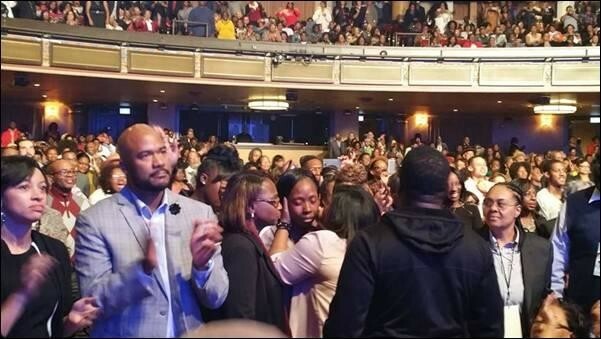 With the anointing flowing heavily throughout this concert hall, it was clear that these Gospel Artists came to minister as Kim Burrell was escorted off the stage and down the aisle to pray for someone, as she laid her hands on their forehead and started calling on the name of Jesus! It was a night that many will remember for years to come. The national tour kicked off at Fallbrook Church in Houston, TX today, September 30, and runs through November 29. The Festival of Praise International Tour will kick off in the first quarter of 2016.